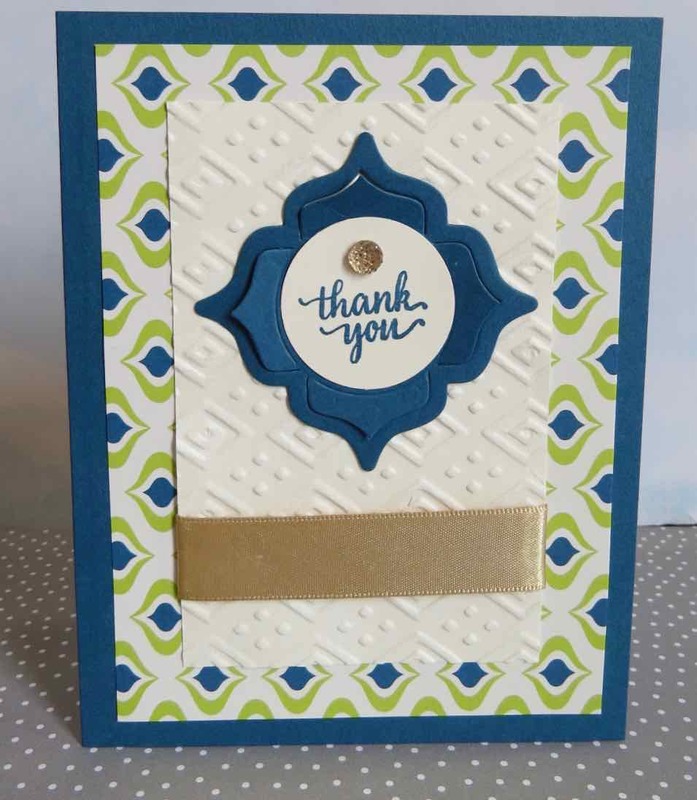 Karina's Kreations: Stampin'Up Eastern Palace Suite! Stampin'Up has a new product available May 2 called the Eastern Palace Product Suite. There are two different bundles available and each bundle comes with a FREE gift! My friend Hetty made this beautiful card with this bundle. I was amazed with all the different framelits that come in this set. If you're getting the framelits, it helps to own the layering Circle framelit dies. 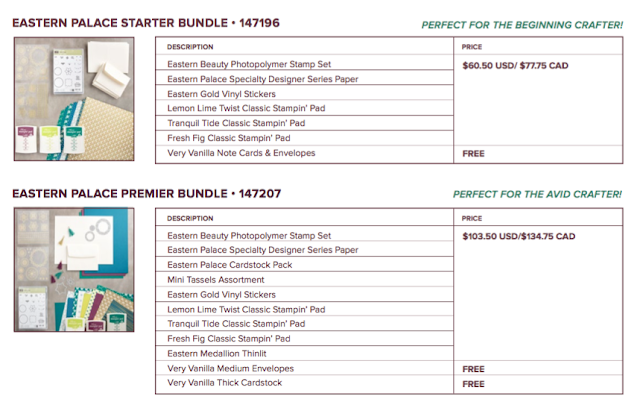 If you want the bundle email me at kchin2@telus.net. I'll be placing an order on May 2 to beat the rush.